You may have landed upon this page because you are searching for ways to be more eco-friendly or are trying to go green, but might know how to begin. There may even be some of you who are specifically looking for a Los Angeles sustainable landscape design firm and would like to know more about what Busch Design Build has to offer. Regardless of the reason why you are here, we’re glad that we get this opportunity to tell you a bit more about sustainable landscape design and its benefits, as well as why we are the ideal firm to help you transform your outdoor space into an environmentally friendly space. A sustainable landscape is one which minimizes its use of natural resources and can be maintained with minimal usage of water. These landscapes are sometimes known as drought-resistant landscapes, given that they utilize plants and other design elements that are resistant to heat and UV rays, while still remaining visually appealing. The benefits of hiring a Los Angeles sustainable landscape design firm to transform your space include: water conservation, decreased energy usage, reduction in water pollution (given that you typically do not use toxic pesticides), and reduction in soil contamination. A sustainable landscape design also uses native plants, which can drastically decrease the negative impact that your outdoor space will have upon your immediate surroundings. Busch Design Build has an extensive history in creating sustainable spaces, both indoors and out. We take pride in every project, and are committed to providing green services that enable our clients to decrease their impact upon the environment while improving their overall quality of life in the process. Our experienced and highly knowledgeable Los Angeles sustainable landscape design firm professionals can help you to transform your outdoor living space into one that blends well with its surroundings while becoming a functional and practical space that you can use throughout the year. 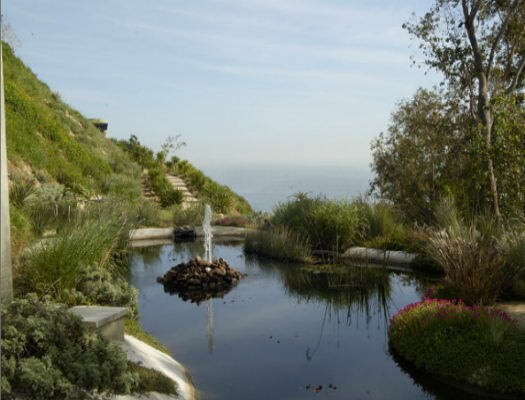 Busch Design Build is a Malibu based global design firm that has been offering green architectural and sustainable landscape design services for the past two decades. If you would like to learn more about our sustainable landscape design services please contact us via phone or email.